Often all white rooms can feel flat, the key is to vary the shades of white and texture in the space! 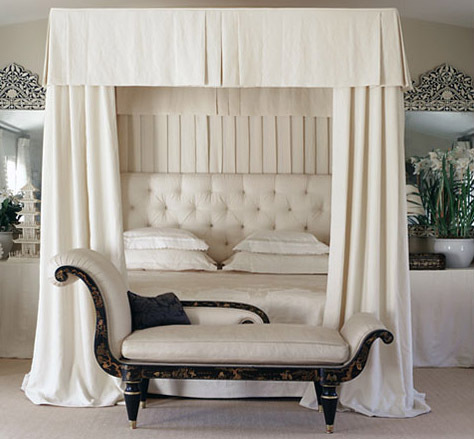 Mary McDonald has done so beautifully with this bedroom...the gorgeous canopy bed is fit for a queen! 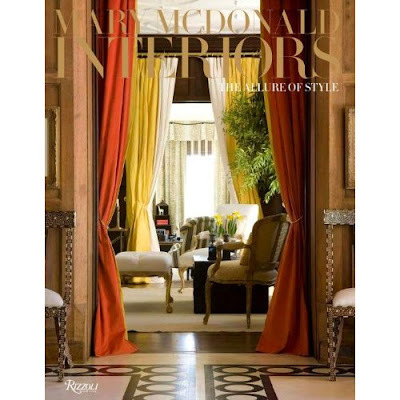 I am anxiously awaiting the release of Mary's new book, The Allure of Style. It's set to release on October 5th! A couple of weeks before my Birthday, so this one's officially on the "wish list"
On my radar..for the Fall.. Sneak Peek - Rue Magazine! Emerson's room - back to work!